When Brian and I decided to embark on a massive kitchen renovation last spring (I’ll be sharing full pictures and details of the finished kitchen soon, these are just a glimpse), we knew we wanted a unique, minimalist design while maximizing space and efficiency. It had been quite cumbersome for me over the years to cook in a space that had very little counter space, no pantry, and felt very boxy. One of the main goals was to replace the cabinets (and replace with a more modern style), remove some of them all together, and create more usable storage space. With this piece of the design, our appliances were a key factor that we’d need to build the cabinetry and countertops around. disclosure: We received the refrigerator and dishwasher from Beko Appliances and Warners’ Stellian for our kitchen renovation as compensation for writing about our experience. 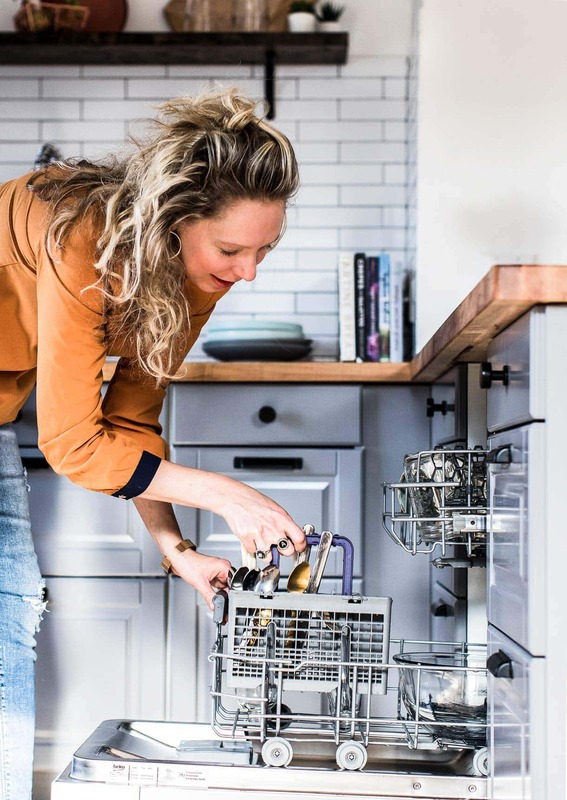 As you probably know, there are so many options to sort through when choosing appliances, from price and size, to technology advances, to functionality and looks. We ended up choosing a Beko Refrigerator and Dishwasher after lots of research and discussion. Our first step was to assess our lifestyle, and how we were using our current appliances. And also jot down things that were nagging issues with them. Here’s a look at those, that you might relate to. a. How often do I grocery shop or pick up ingredients? I typically go to the market or store every other day, much like the European culture. I like to buy things very close to when I’ll be using them in the kitchen to maximize freshness. We don’t have a family, so I don’t make that once a week trip to the store to get all thing things to feed them. When there’s just two of you, it’s hard to go through anything bought in bulk before it goes bad. And because my job is in food, there is rarely a day that I don’t need to run and get some random ingredient. b. With that, how much refrigerator storage is actually needed? Definitely not the 24 cubic feet currently in place. When I open the refrigerator, there is so much deep space that is empty, or has three month old containers of who knows what occupying the shelf. And too many condiments. TOO MANY! c. How are we using the freezer? With the top door freezer, with one shelf, it’s literally a box freezer with one shelf. I have no idea what’s in there because it’s so disorganized. And I don’t feel like there’s a good way to organize this type of freezer, regardless. c. How often are we running the dishwasher? Once a day, sometimes more when I’m executing a large photoshoot. d. Side note – Amanda is terrible at unloading the dishwasher because it feels like a burden with so many things to put away after she’s been cooking the entire day. After that assessment, it was very clear we did not need as big of appliances as we currently had. In fact, my efficiency in cleaning the kitchen might improve, we would hopefully waste less food, and we’d certainly be gaining valuable space back. The search for a smaller, smarter, more energy efficient, and beautifully designed refrigerator and dishwasher then began. Looking at our design plans, we wanted to build around a modest 30 inch refrigerator and slim 18 inch dishwasher. And let me tell you, that proved to be an issue – it’s not easy to find smaller, compact major appliances from the majority of brands. Luckily, in talking with our local Warners’ Stellian, we found out that the most well known European appliance manufacturer, Beko, had just launched in the US. And they carried their slimmer products! We decided on Beko’s top control 18 inch dishwasher, and their 30 inch counter depth, freestanding refrigerator, both in stainless steel. Warners’ Stellian delivered the appliances with such ease and accountability. They were right on time, the delivery folks were energetic and kind (very hard to come by), and they maneuvered the products up three very steep stories of outdoor stairs. We were so thankful! We were able to take back space we’d lost with the previous larger appliances, and make more room for two sets of cabinets on each side of the dishwasher, and a pantry next to the refrigerator. Our counter space also grew, not only with the main island, but also the side nook next to the refrigerator. Amazing what a few extra feet can do for meal prep! Its design fits in perfectly with the minimalist look we were going for. Even though it can hold less than my previous dishwasher, I can fit plenty in it, and never wish I had more space. I unload the dishwasher ALL AT ONCE because there’s less to put away. This is a huge feat for me. It’s soooooo QUIET. 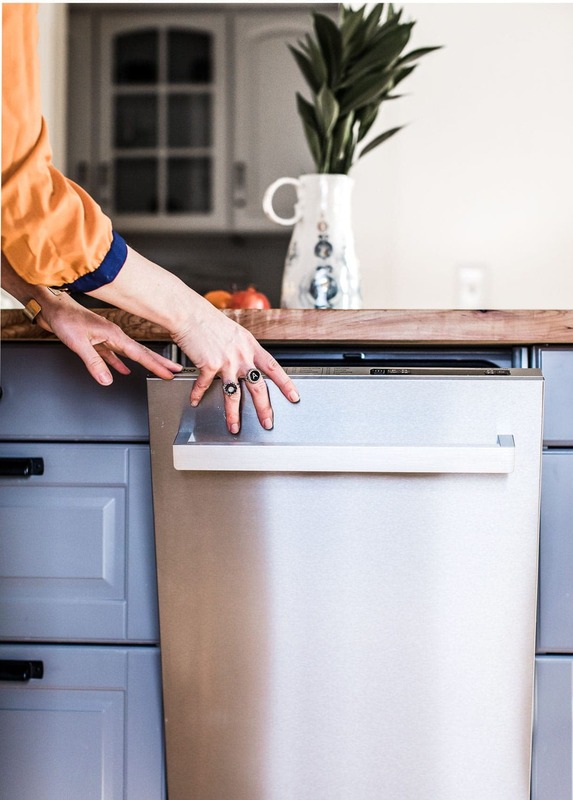 Beko created SilentTech technology, which suppresses dishwasher noise while extra insulation keeps heat in, for a high energy efficiency combination that really cleans up. 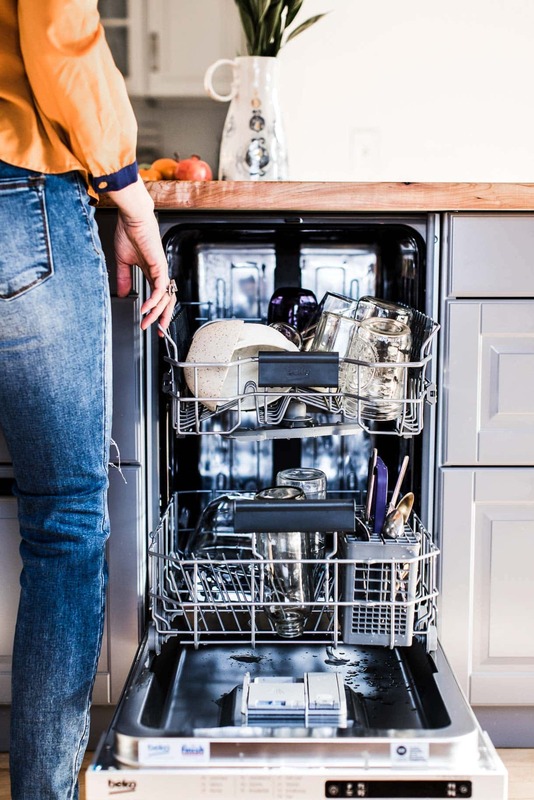 Meeting rigorous energy efficiency performance levels set by the U.S. Environmental Protection Agency, Beko dishwashers received the ENERGY STAR Most Efficient Mark in 2018. The interior of our old dishwasher was pretty beat up, but the Beko has a stainless steel interior that is much more durable, and resists hard water stains, and corrosion. It supports higher temperatures than the plastic interiors found in other dishwashers. It’s not so deep! Which means less food gets pushed to the back and expires without being used. I noticed immediately how quickly it cooled, right after turning it on following deliver. 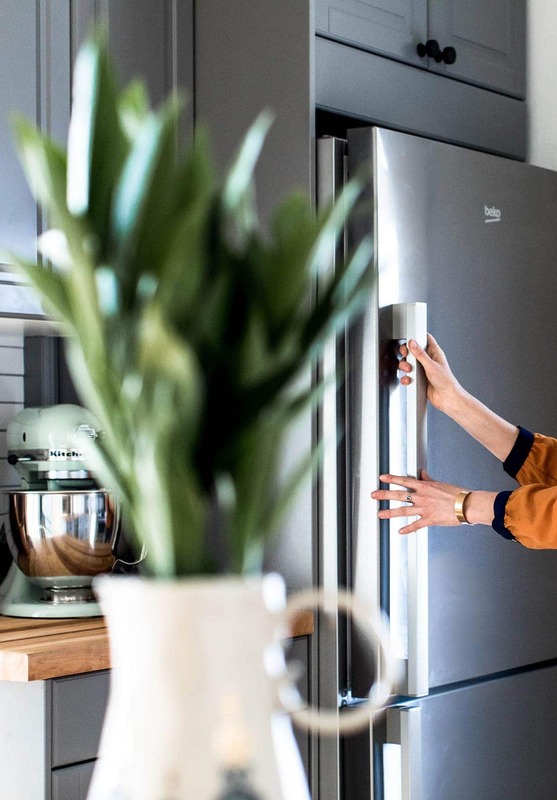 That’s because Beko created the NeoFrost dual cooling technology cools twice as fast with two separate cooling systems that maintain optimal humidity in the fridge, while keeping the freezer dry and frost-free. The blue light, which not only looks cool, but actually has a purpose. 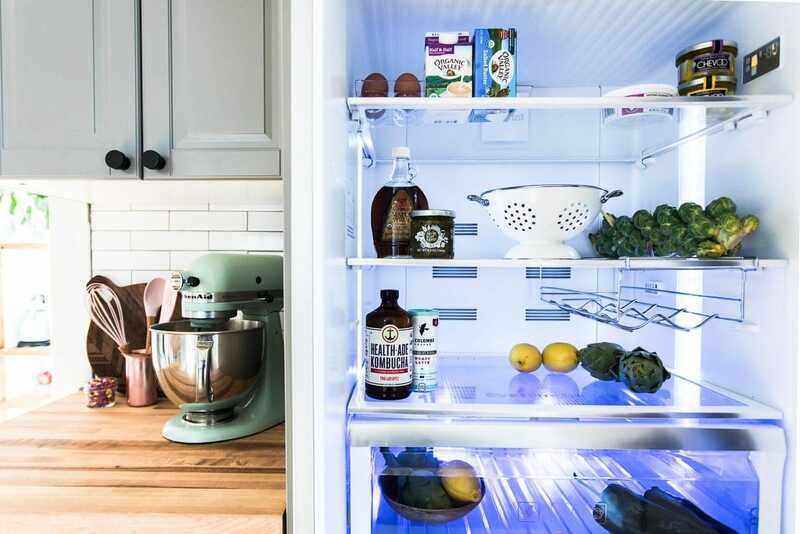 This new technology simulates natural lighting conditions, extending the photosynthesis process into your refrigerator. That means fruits and vegetables stay fresh up to 30% longer. The bottom freezer has three shelves, two of which are drawers that slide out. I can clearly see in them, and it makes organizing so much easier. Less food waste! As many of you may know, shortly after beginning our kitchen renovation, we found our dream home and have moved. 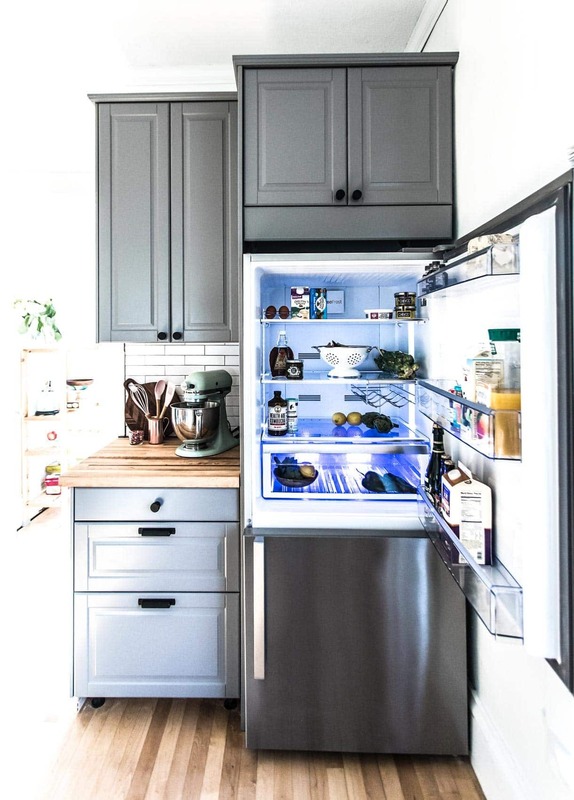 It’s very clear that the appliance upgrades and gaining more space in the kitchen has proven valuable for resale — we had 13 showings in 5 days for our St. Paul home, which you see here. Heartbeet Home: Reveal of our Minimalist Mid-Century Modern Living Room! 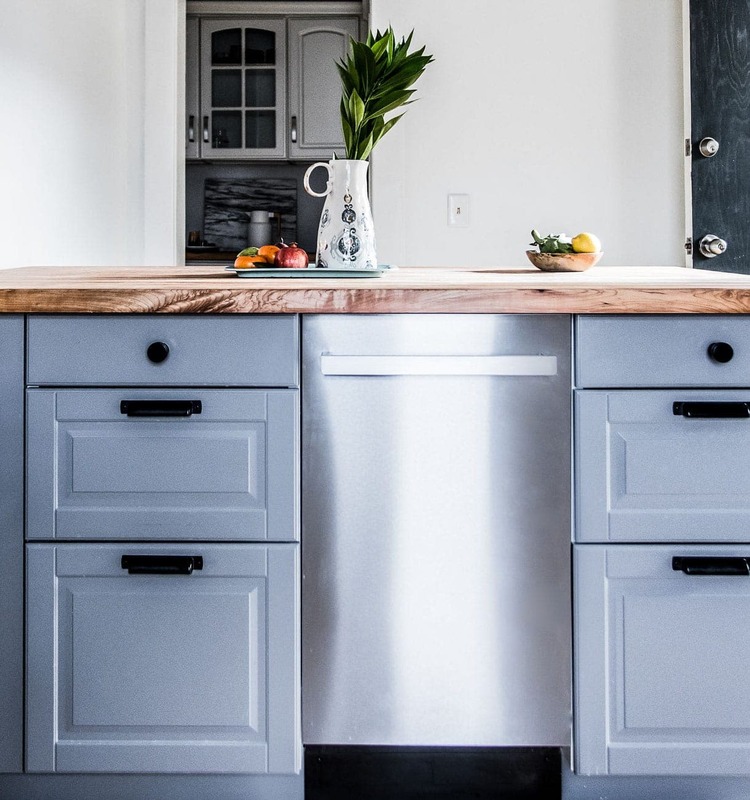 The appliances look so sleek and the european style fits perfectly in your new kitchen! Love the new design and the refrigerator. I have a 30x23x80 Liebherr refrigerator, it works but not that impressed with it. Will have to look into Beko appliances. 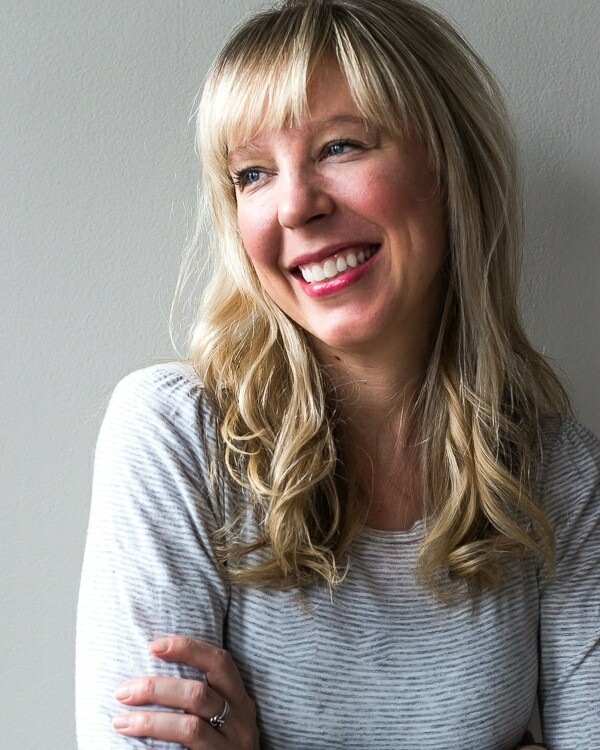 Hi Tammara! Thanks so much for stopping by. Appliances can be tricky! I’m really glad we found the right fit with Beko. I hope you are able to as well! Ah the new kitchen looks so beautiful – I can’t wait for the full reveal! I believe we ended up going with a 30″ fridge as well due to a tight space, and it is PLENTY big enough for us. A slimmer dishwasher would also probably do well for us, since we end up not running ours for several days at a time, waiting for it to fill up. The new owners of this place will be very lucky and I hope they appreciate the extra thought you guys put into the space.